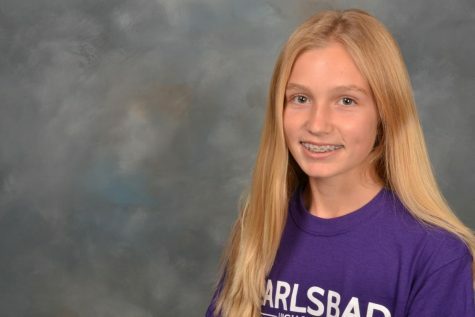 This is Sarah's first year on Lancer Link and first year at Carlsbad High School. Sarah went to Valley Middle School and spent two years in broadcast journalism (VMSTV) and one year in the school's student body. Her hobbies include going to the beach and hanging out with friends. In the future, Sarah would like to go to college to become an elementary school teacher.